Chugging away the day in a trio of steamers. 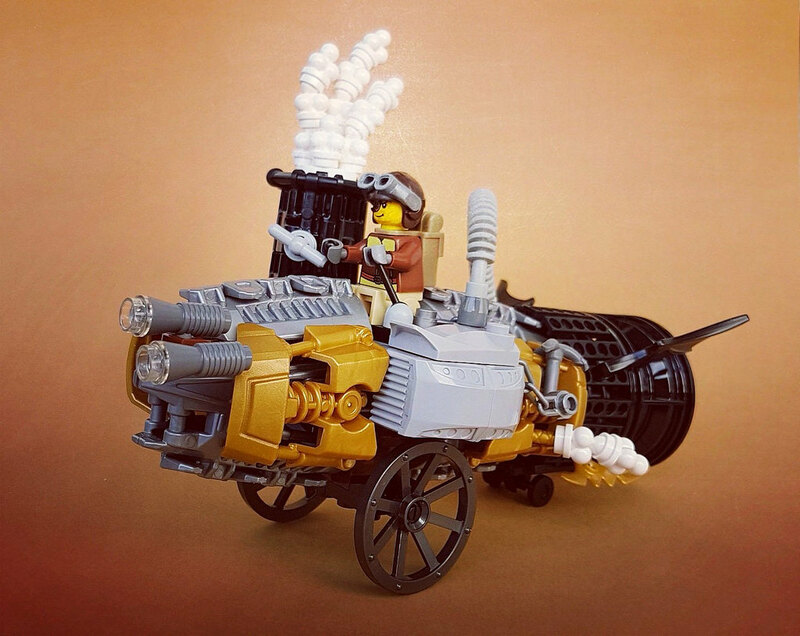 We recently featured some terrific turn-of-the-century LEGO steam cars by Krzysztof Pusz. He’s back again, this time with some excellent steampunk vehicles. 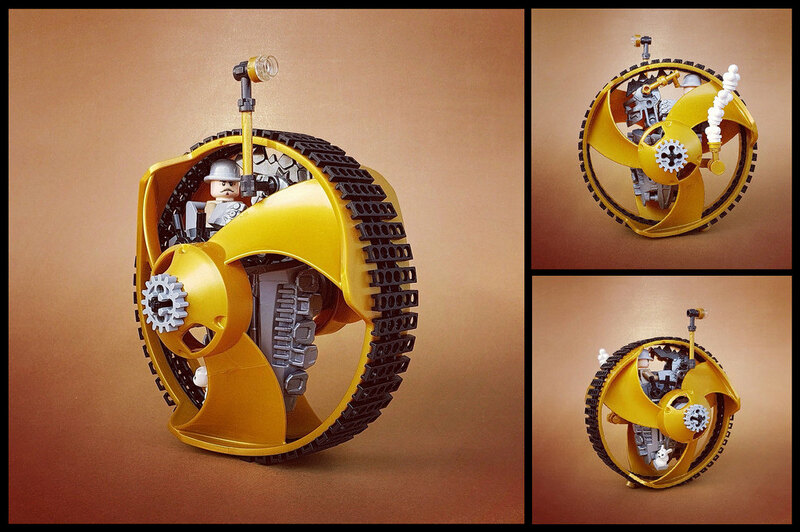 My absolute favorite is the monowheel, which puts the otherwise bulky Ninjago Airjitzu Flyer propeller blades to excellent use. I love how the internal mechanics are visible within the blades, and the side-mounted periscope solves the problem of “driving blind.” I’m not sure what the significance of the baby bunny is, but I like it. 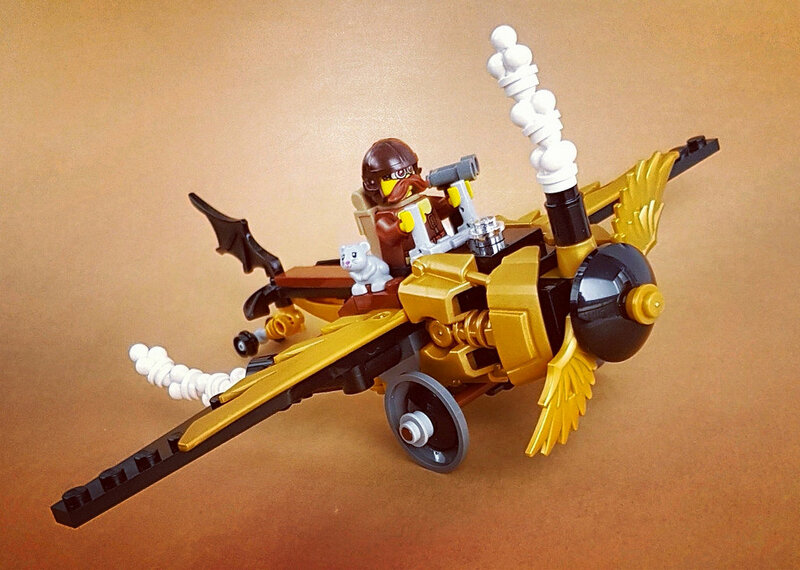 Krzysztof has supplemented his steampunk universe with two other delightful models, one of which is his plane named the Golden Arrow. Incorporating Bionicle elements into the front end of the body looks appropriate for the subject matter. It also looks like the pilot has a hamster friend….I’m starting to notice a theme here. Last but not least is the Bulbulator. It’s bulky form almost reminds me of military transport, which is probably why we can’t find any cute animals with this one. The risk is far too great and the antithesis of all that is cute.